When you like design, working on a project for an artist is basically as interesting as it can get. 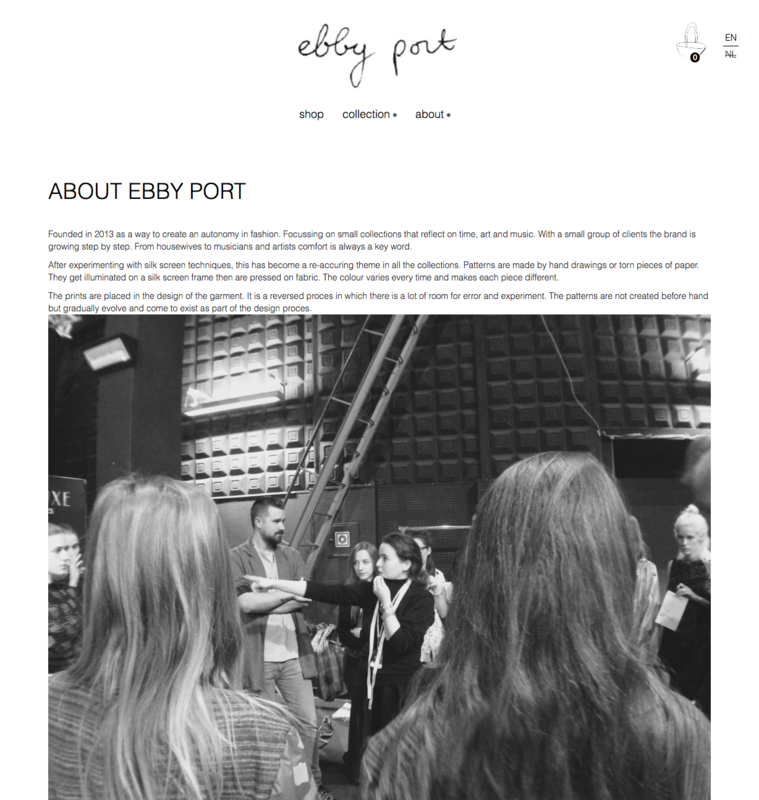 Ebby Port is a haute couture fashion designer, young and powerful, with base in Limburg (The Netherlands) but well known in most important fashion weeks of Europe. A young talent that trusted us to build her e-commerce. With a minimalist design, she took care of most of the art direction of the site, black over white empty spaces, beautiful photos and her touch: hand-drawn icons and buttons. On the technical part we constructed a very smart e-commerce with automatic stock control and shipping cost calculation, with several attributes per item (size, color, etc), a logic to cover the empty cart cases and so much more. 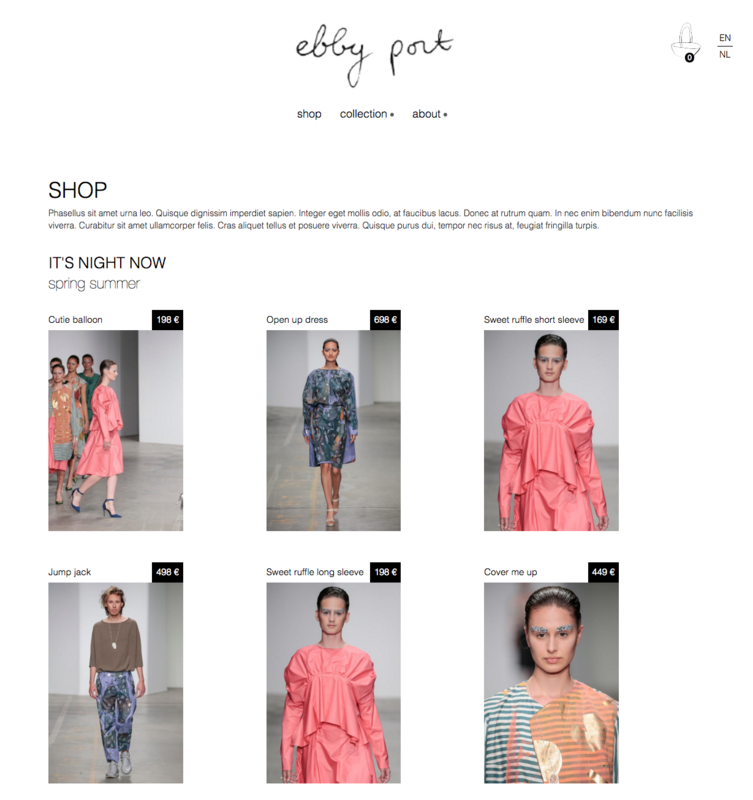 On the payments part, we integrated the site with IDEAL (a popular dutch payment gateway) and PAYPAL. The resulting site is going to help her organize sales to every country, control production easier than before and of course show her pieces in a beautiful clean way.